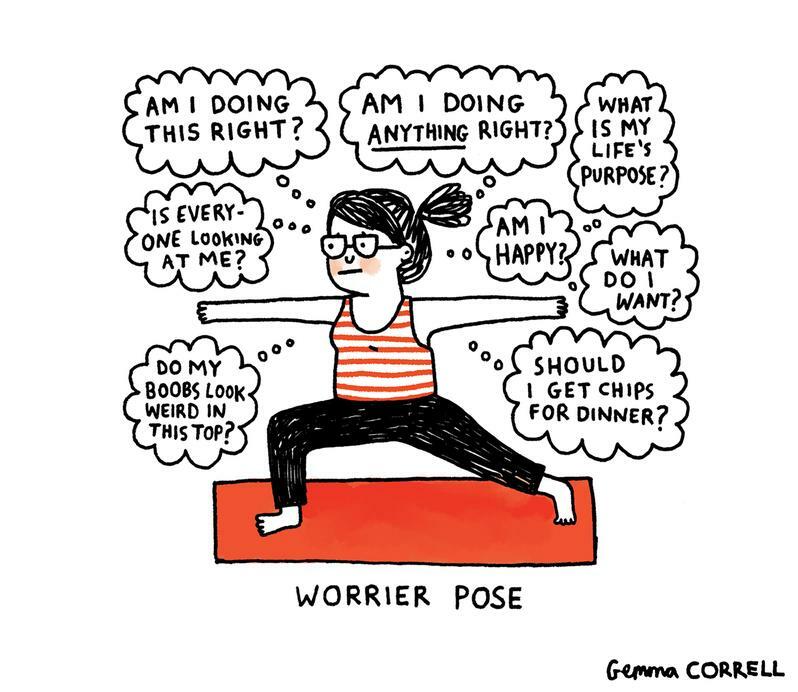 British illustrator Gemma Correllknows first-hand just how difficult it can be to live with clinical anxiety and depression. "I find that the best way to deal with it is to find humor in it," she said in an interview with Mashable.Luckily for us, Correll's coping mechanism happens to involve drawing hilarious cartoons that she posts nearly every day on Tumblr. Correll's sense of humor also extends to other sensitive topics. She has drawn comics that tackle introversion, relationships, online sexism, and even the joys and pitfalls of owning pets. During this past holiday season, she started #FeministXmasSongson Twitter, which quickly became a trending topic. 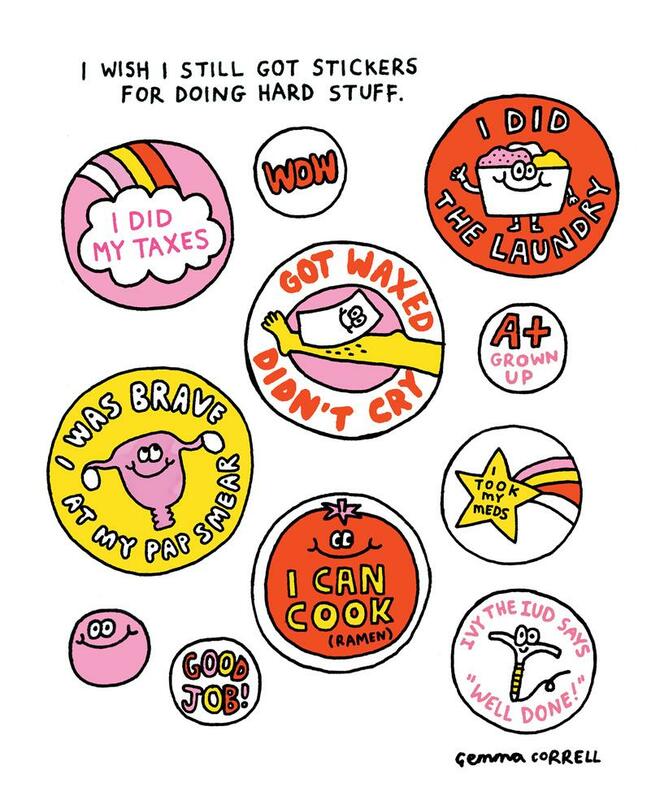 Gemma Correll is not the first artist to use comics and illustrations to bring awareness to mental health issues. 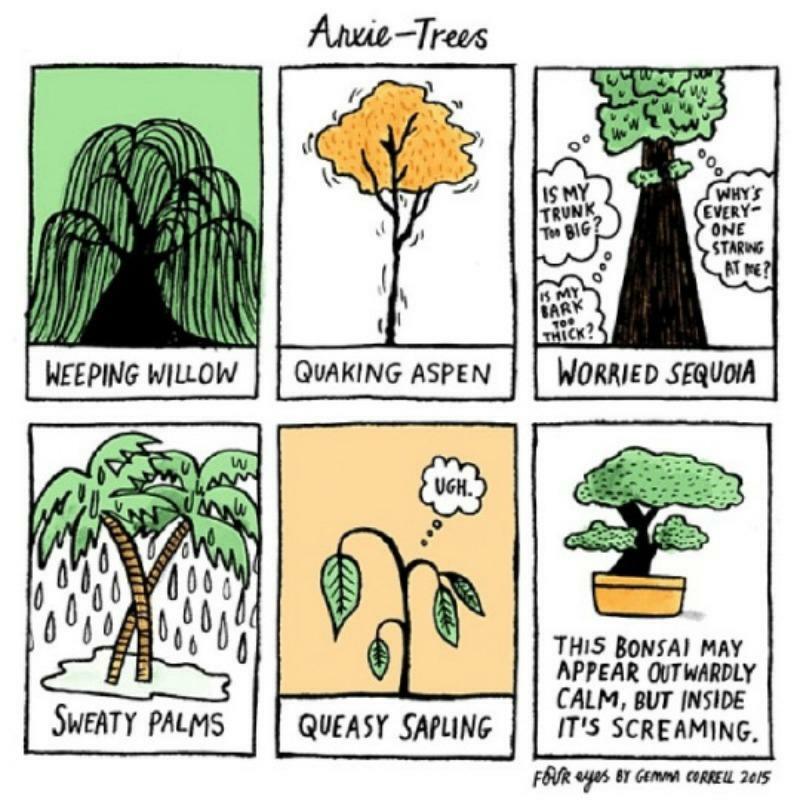 Cartoonist Nick Selukadapted one woman's storyabout her struggle with anxiety and depression for his "Medical Tales Retold" series,and Allie Broshillustratedher battle with depression on her blog. By sharing their stories, comics artists like these are also helping to destigmatize mental illness --- without being too serious about it. Who are your favorite artists making comics aboutmental health? Tell us in the comments.